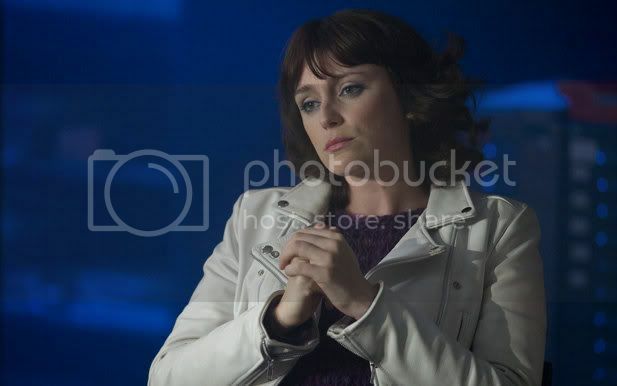 Keeley Hawes Blog: Article: "Hawes Teases Season Two"
"Hawes Teases Season Two: Ashes to Ashes" by Ian Cullen, SciFiPulse.net, April 17, 2009. When we last saw DI Alex Drake she’d just failed to save her parents from a car bombing, and was in a state of total despair at not being able to save them. Season Two picks up the story one year on in 1982, and Alex has very much become a part of the CID team, headed up by DCI Gene Hunt, but still seeks to find her way back to 2008. Monday 20, April will see Ashes to Ashes explode onto our screens, and the opening moments will see DI Drake and the gang looking for suspects in London’s underground sewage system. Thankfully this is not going to set the tone for Keeley Hawes as she reprises her role as Drake, and in a recent interview she talked on where she feels the second series will go. “This series we get to see that Alex has calmed down a lot and has begun to settle into the 1980s environment. She now considers the people around her to be friends and, because we have moved on a year, things aren’t quite so heightened for her. Much like as happened in Life On Mars before it, viewers will be introduced to an enigmatic stranger who is watching the DI and is trying to contact her in a mysterious manner. Ever since Ashes To Ashes began veiwers have got used to the tempestuous relationship between DI Alex Drake and the brash and often dogmatic DCI Gene Hunt. 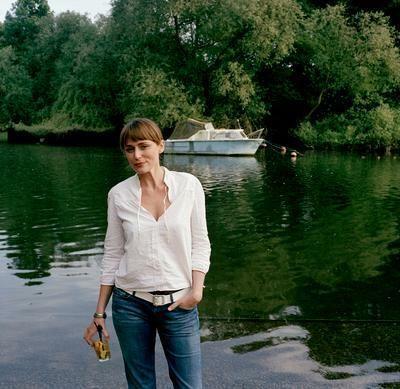 Viewers have got used to their fiery exchanges, however Keeley believes her character has a degree of admiration for Hunt. The actor also confirms that there is a darker edge to the second season. As everyone knows the nineteen eighties were a period of flamboyant fashion and big hair, and the second season illustrates this factor of the period even more so than the first season, and the shows core group of characters have had makeovers to reflect the changing trends of the day. “Costume changes and fittings were very difficult during filming for series one because I was in so many scenes. Each change meant leaving the set and going to the costume department which took up a lot of time. So for this series the production team had to think up a way of building more time into my schedule,” explains Keeley. “Ultimately this meant we had more opportunity to delve into Alex’s wardrobe which was great fun! A rare treat for Keeley was driving the Quattro, an experience usually reserved for the one-and-only Gene Hunt. Much like the first season fans can expect to see cameo appearances from noted 1980’s personalities such as: Roland Rat and Morph who were mainstays of childrens television throughout the 1980s. Ashes To Ashes returns to television on Monday, April 20 at 9 pm on BBC1.